Adamo’s Pasta is inspired by family history. Adamo’s parents, Marisa and Lino, came from Italy and brought their love and passion for pasta with them. They established a pasta place called Center Pasta in Liverpool, Western Sydney. Center Pasta was a busy, successful and well known place providing pasta to their customers for more than 25 years. Adamo inherited the passion and love for pasta from his parents and decided to create his own company called Adamo’s Pasta. 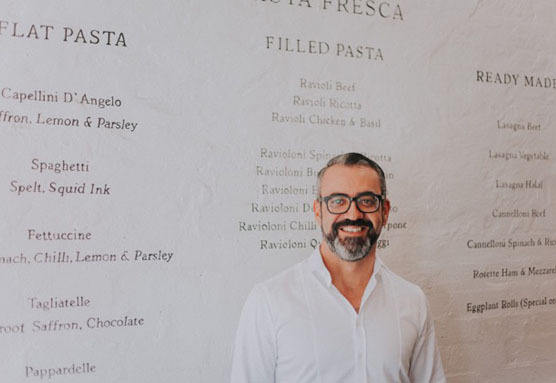 In 2007 Adamo established Adamo’s Pasta, small takeaway shop in Rosebery. Since then the company has experienced continuous growth and increasing popularity with both wholesale and retail clients. As a result of the demand, in 2013 Adamo’s Pasta enlarged the production area and opened a retail store with a dining area, in order to keep the customers happy. Pasta was created in Italy; fresh pasta has been made in Italian households for generations. The first evidence of pasta goes back to the 1 st Century and finally in the 19 th Century pasta was combined with tomatoes. Italian cuisine is a food culture, a form of art. For Italians food is not only nourishment, but it is life. Italians cook and eat for pleasure and enjoyment, to share with their family and friends. We believe in this tradition and we would like to keep it alive. With tradition comes culture and history. It is our heritage which helps us to understand our ancestors – their lives, values, customs and ways of making food. We believe that people can enjoy Adamo’s Pasta products, create an Italian ambiance with our food, enjoying the taste of Italy and appreciating this amazing culinary heritage. 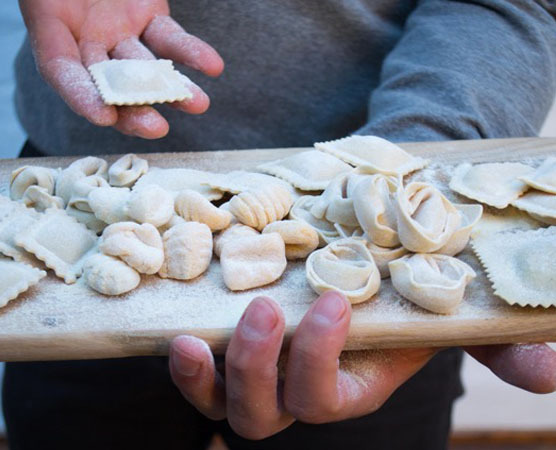 We believe that creativity and fusion in food is important and inevitable in today’s society, but we give priority to the traditional method of making pasta and sauces to create a superior product.